With SETARAM Instrumentation calorimetry productions, you can conduct your calorimetry measurements using the most effective sensors, based on the unique and unmatched Calvet principle. Whether they are based on thermocouples or Peltier elements, these same surrounding sensors lead to heat, enthalpy variation, or heat capacity measurements that are accurate, precise and thus reliable. These analyzers are designed to be multi-purpose and upgradeable, meaning that they fit with the multiple needs required by users that handle varying research projects. 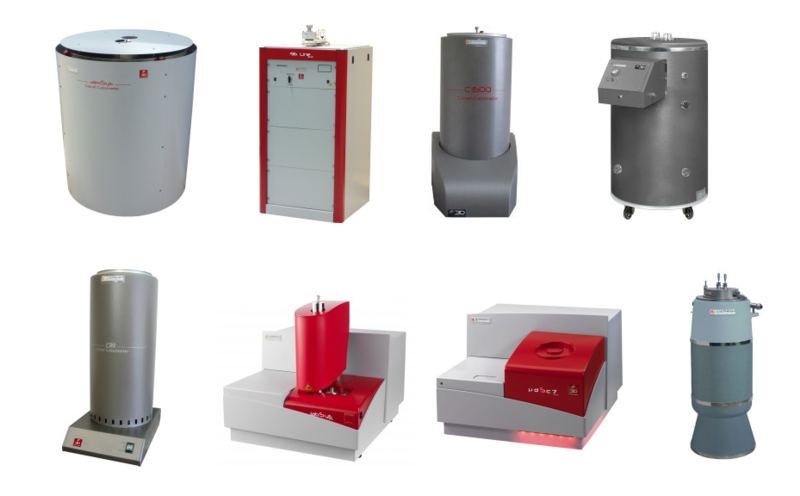 C80 for instance, which is the core product of the Calvet calorimeters range, is a calorimetric platform with interchangeable cells for mixing, stirring, gas or liquid dosing, and/or simultaneous pressure measurements. Its twin brother BT2.15 is a low-temperature calorimeter operating from -196 to 200 °C with similar functionalities. The µDSC7 evo and µSC microcalorimeters are even more sensitive and allow for the most demanding calorimetry experiments, such as the ones required by the characterization of proteins, food materials, or by the field of flow assurance (gas hydrates, wax crystallization). Finally, high temperature calorimetry benefits from dedicated sensors for measurements up to 1600 °C. They are either used under temperature scanning conditions for the determination of latent heats of transitions (melting, crystallization), or heat capacity (Cp), or used under isothermal conditions for drop calorimetry experiments. The latter leads to key data (calorific capacity, enthalpies of formation) for the study of materials behavior at high temperature.